We recently had a good-weather weekend this September, and decided to check out some nature preserves. 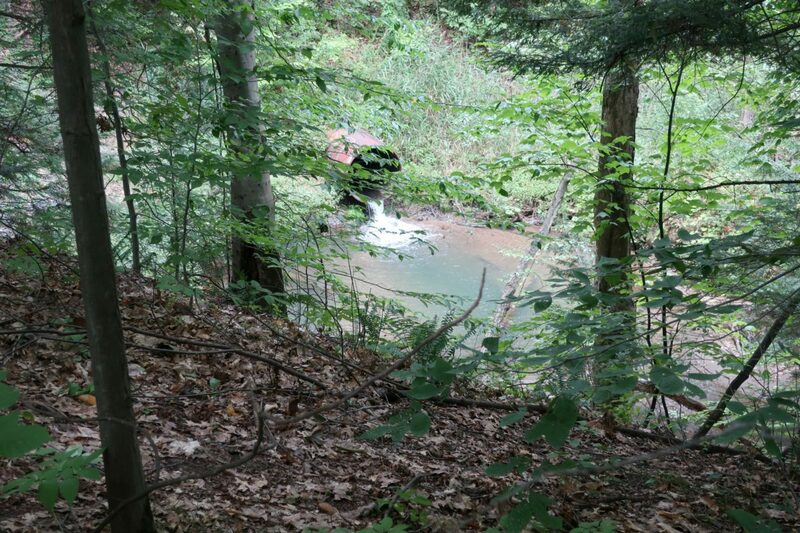 We found the Dwaas Kill Nature Preserve in Clifton Park and thought it looked like a nice place to explore. 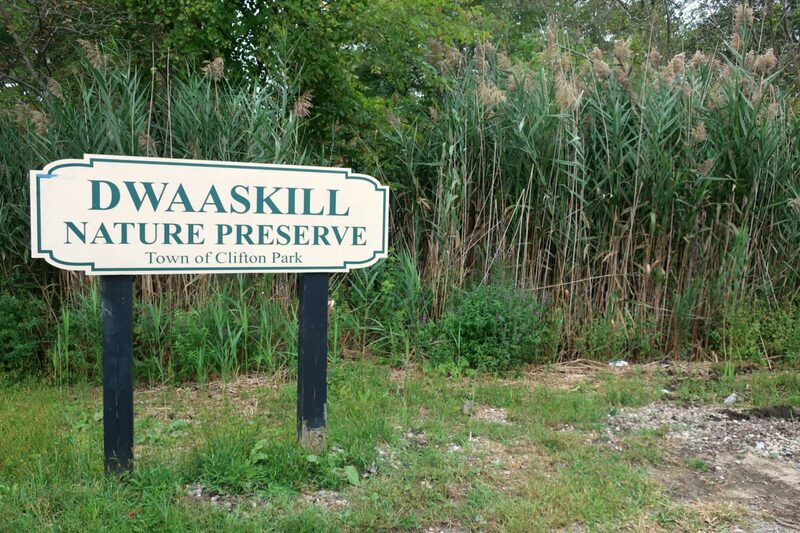 Welcome to the Dwaas Kill Nature Preserve owned by the Town of Clifton Park. Established in 2005, the preserve is 240 acres of mostly undisturbed natural habitat that plays an important role in the health of this area’s ecosystem and provides a home for many plants and animals. 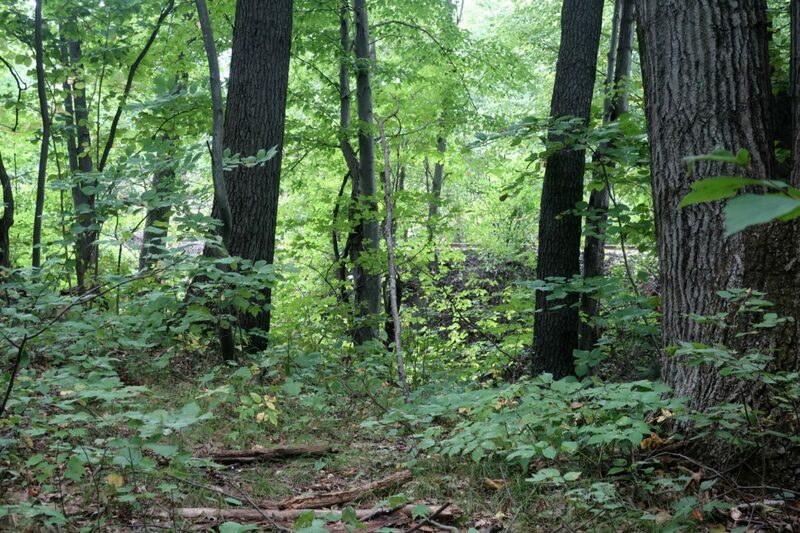 This land was acquired with assistance from the NYS Environmental Protection Fund. Enjoy your visit, and please tread lightly. 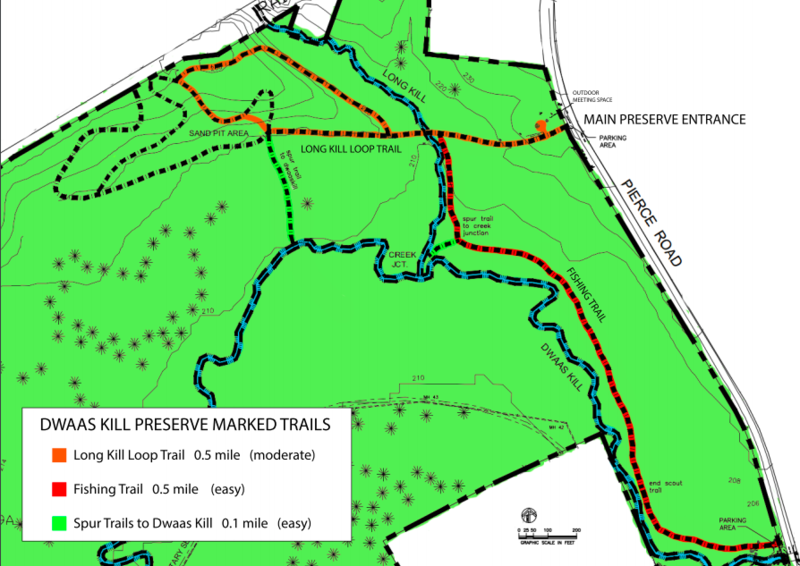 You can find a trail map here. We found parking right along the road, and there were a decent number of spaces left. Just a note, when it was time to leave, you have to back out into the road. There was someone before us who carefully backed up and was almost hit by someone speeding around the curve. It was a little nerve-wracking to back out into the same place, as people come flying around the bend. Just a word of caution. Right off the bat, we realized we had missed a trail. There is supposed to be a fishing trail to the left, but had walked right by it. 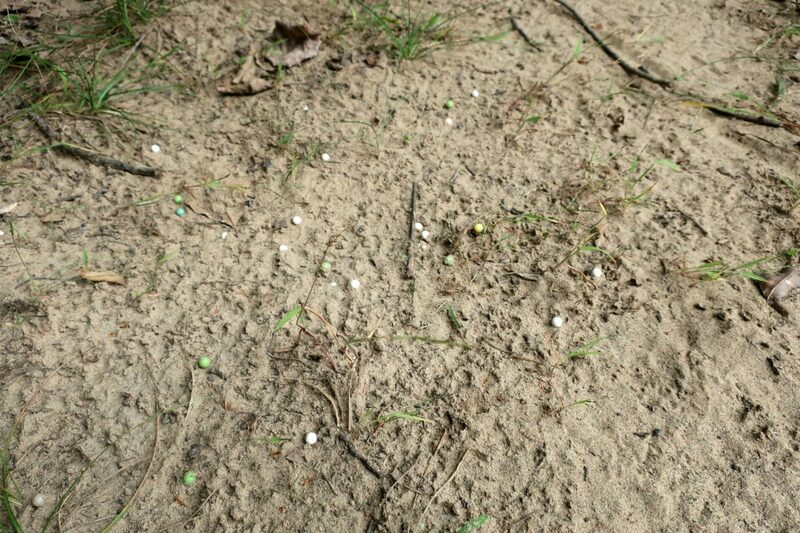 When we returned back to the beginning of the trail later, we saw the fishing trail had grown in. 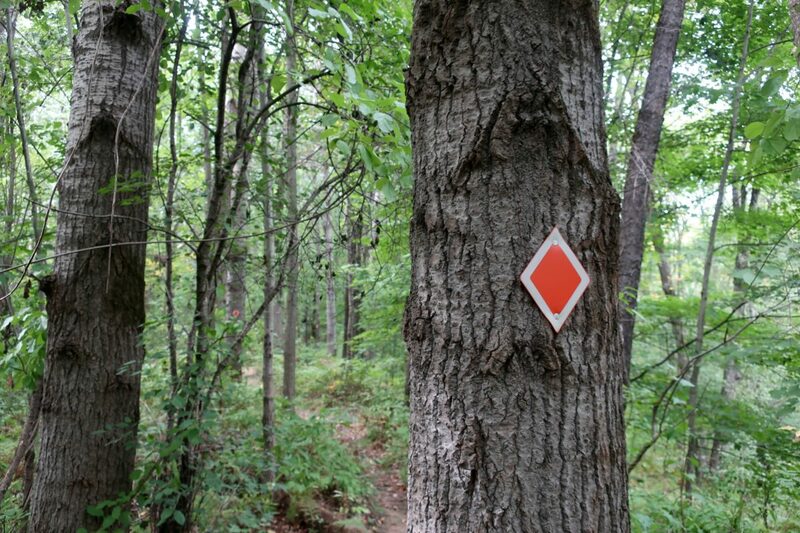 We were able to follow the orange trail, which had some markers. 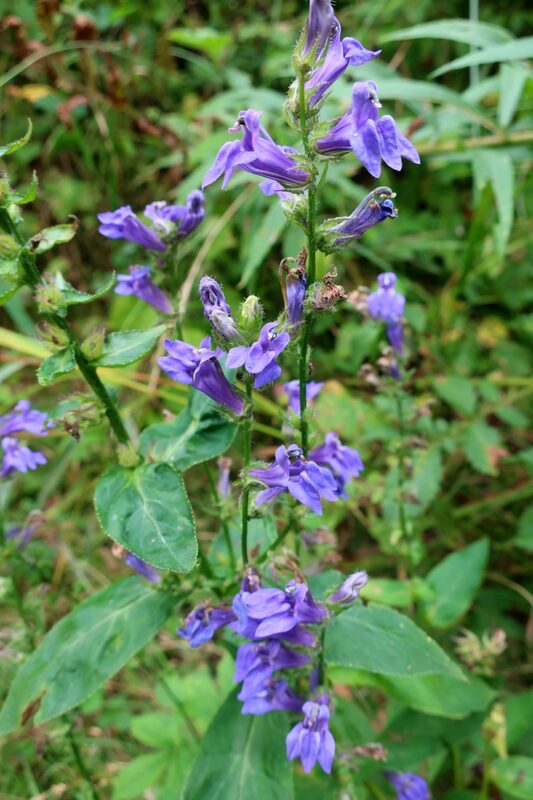 The beginning of the orange trail was pleasant, with attractive wildflowers. 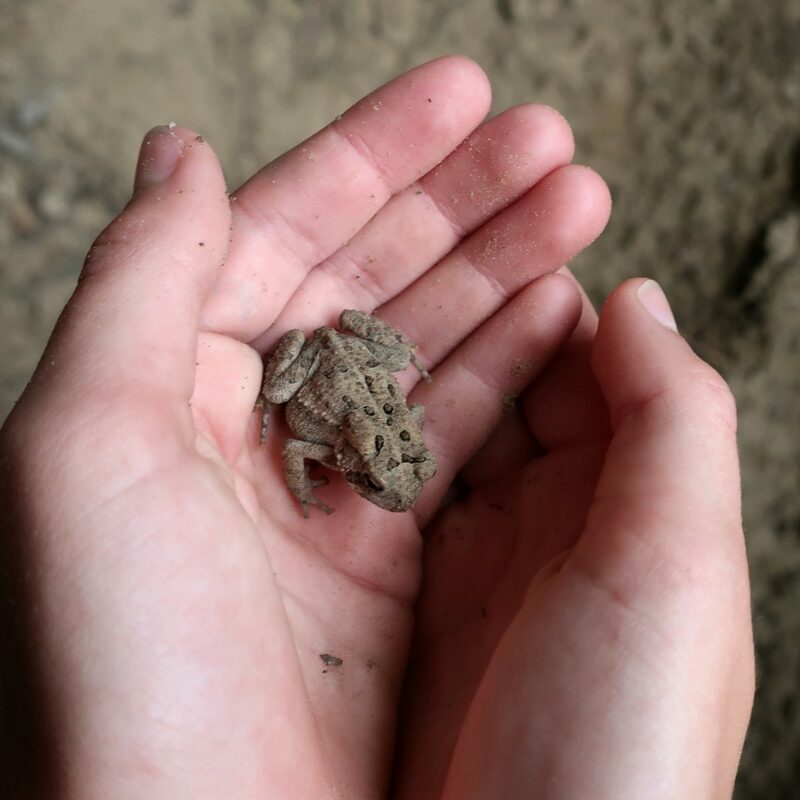 The kids were excited to find a toad along the trail. Part of the trail overlooks the Long Kill. 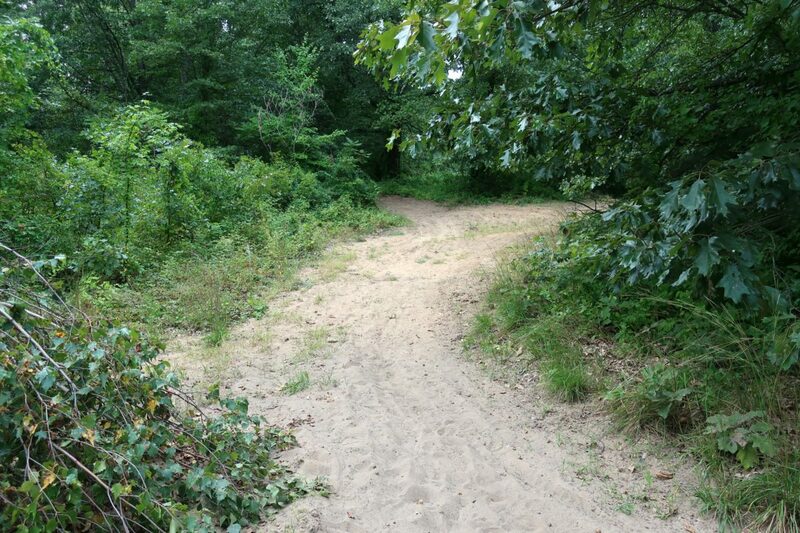 After a couple minutes of walking on the trail, we reached a sandy area. 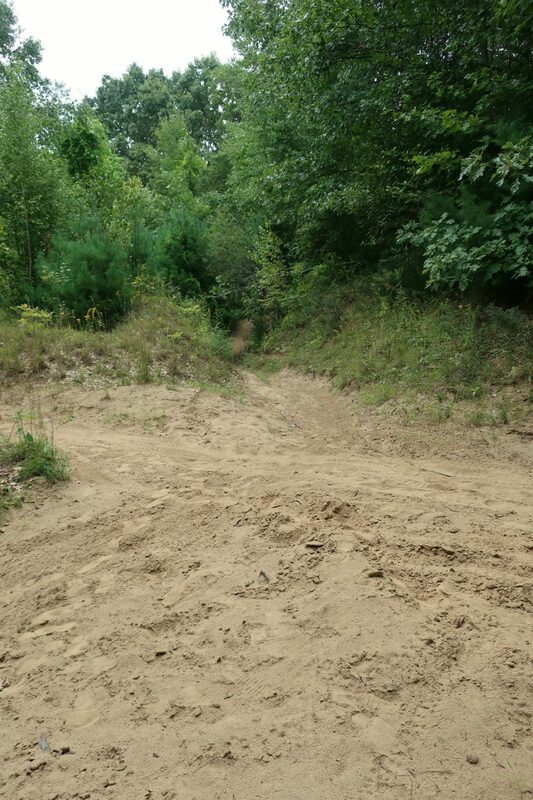 I see on the trail map that there is a sandy pit area. 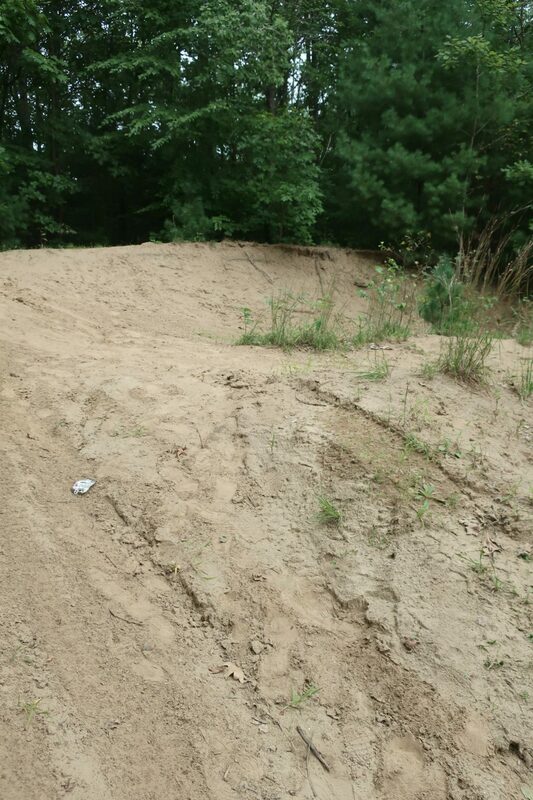 It seems like there is a lot of dirt bike activity over hear, and the sand and trails are torn up. 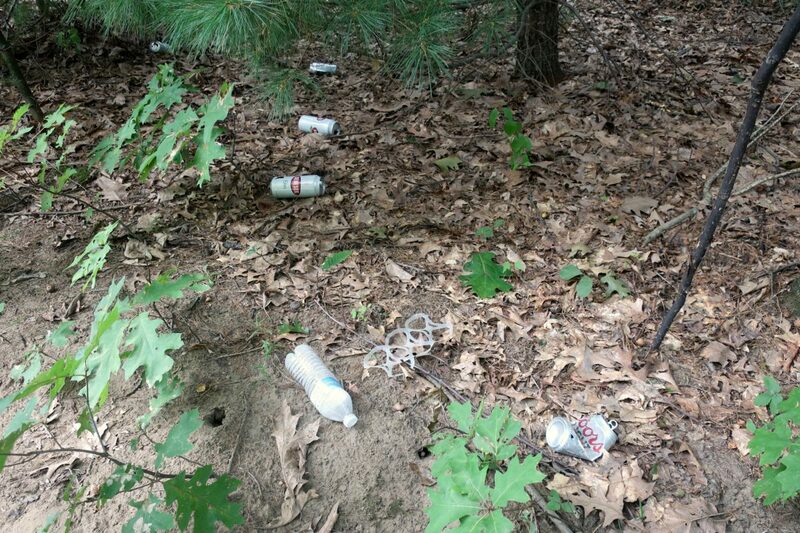 We also noticed lots of trash, like beer bottles and other junk. 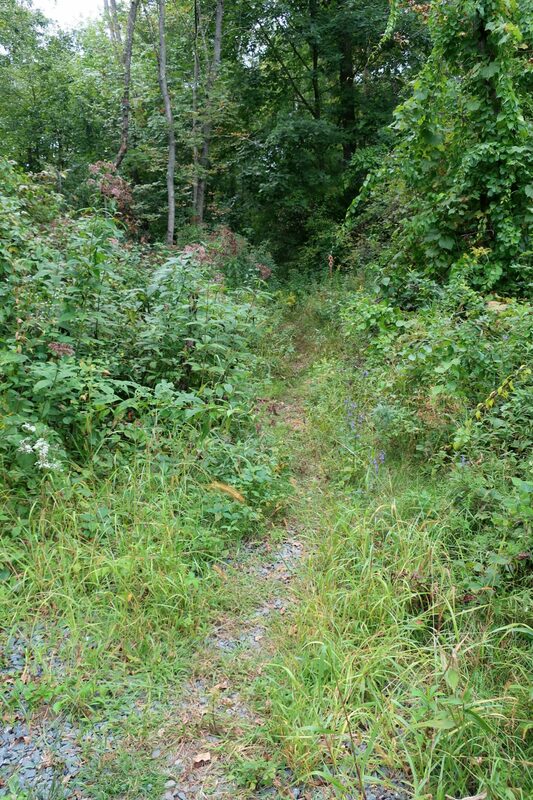 We made our way back to the car, following paths that meandered through the woods. 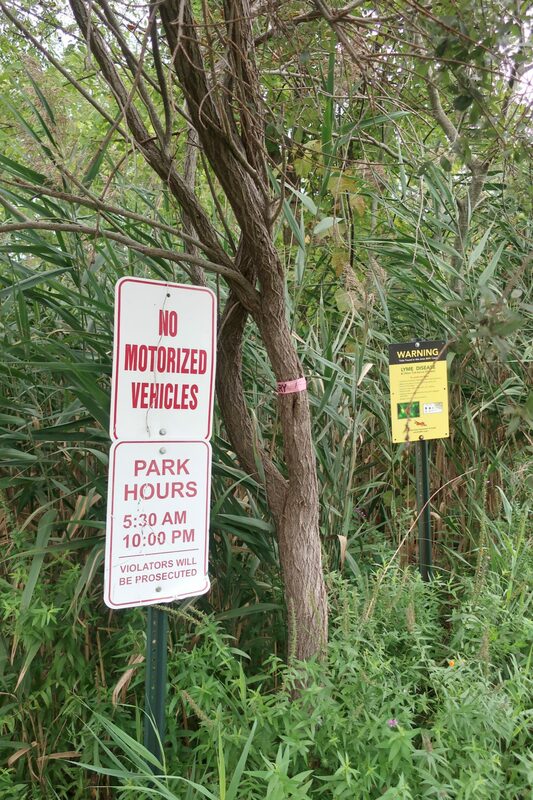 We noticed the signs on the way out that prohibit motorized vehicles. It is nice that there is land set aside in a preserve, but sad to see that people aren’t respecting natural areas like this. It seems like the area has been misused a lot, and the fishing trail has been neglected. Hopefully in the future there will be improvements made to the nature preserve. 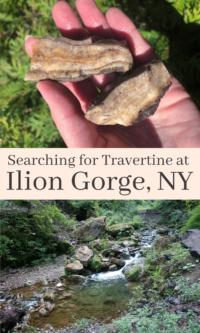 We did not spend a lot of time here, as the trails are short and we decided not to hike the entire preserve after seeing all the trash and damaged areas. It’s a shame people don’t respect the rules in natural places. Still, it looks like a hike I would have enjoyed. Here is my dry California town it’s been a long time since I’ve seen a toad. I wish there were a few around, but they like water and it’s rationed here. (Dwaas Kill Nature Preserve, Clifton Park, NY) This Nature Preserve looks like just the type of place were are family would go to and take a long hike through. I like all the pretty wild flowers too.